November 13, 2018 | 5:30 p.m. — 8 p.m.
Are you comfortable talking about your own accomplishments, talents and the value you have to offer to your employer? Most women aren't! Join acclaimed career and executive coach, trainer, consultant and author Rita B. Allen as she shares her “Three Ps Marketing Technique” as a key to empowering yourself and building a successful career. 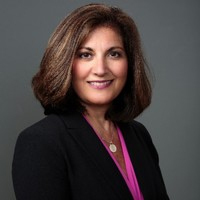 Rita Balian Allen is the President of Rita B. Allen Associates, a national career management firm specializing in executive coaching, leadership development, management training, and career development. 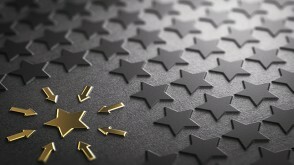 Rita is a lecturer at Boston-area universities, a sought-after speaker, author of numerous articles, blogs, and the book, Personal Branding and Marketing Yourself: The 'Three Ps' Marketing Technique as a Guide to Career Empowerment. She holds a Master of Science in Leadership and Bachelor of Science in Business Administration from Northeastern University. In addition, she is an Advanced Certified Personal and Executive Coach through the College of Executive Coaching. She currently sits on the board of The Boston Club as President. Rita has worked with leaders across all industries and professions throughout her career and was voted one of the top ten executive coaches by the Boston Women’s Business Journal. Co-sponsored by our Center for Excellence for Women in STEM, Women in Business Honors, and the Sullivan Career and Life Planning Center. Professionals and students across disciplines, career stage, and industry are welcome.